In 2005, we established a local chapter in Israel with the purpose of bridging gaps in the area of speech & NLP, creating fruitful discussions and sharing information. The annual conferences we have held since also included interesting best practices from overseas to further advance the innovative community in Israel. Our vision is to enable full cooperation between academic researchers and industry leaders, creating synergies for sharing knowledge and multidisciplinary projects. This year our conference’s main topic is Technologies Interfacing Community. The lectures will emphasize various aspects of Human - Machine Interaction for special populations. We will explore the challenges of designing for the elderly, create an added value health application interfaces with Watson, look at children’s psychology effecting the choice of technological design and explore educational assistive and accessibility needs. Come and meet the startups who have created digital, user friendly, devices & applications which are intended to help all segments of community to interact freely and naturally. Automated agents that interact proficiently with people can be useful in supporting or replacing people in complex tasks. The inclusion of people presents novel problems for the design of automated agents’ strategies. People do not necessarily adhere to the optimal, monolithic strategies that can be derived analytically. Their behavior is affected by a multitude of social and psychological factors. In this talk I will show how combining machine learning techniques for human modeling, human behavioral models, formal decision-making and game theory approaches enables agents to interact well with people. Applications include intelligent agents that help drivers reduce energy consumption, agents that support rehabilitation, employer-employee negotiation and agents that support a human operator in managing a team of low-cost mobile robots in search and rescue tasks. The percentage of people with disabilities and the elderly is growing rapidly - by 2050 they will be 25% of the world's population. Nevertheless, Assistive Technology (AT) is still a niche field and unfamiliar to both entrepreneurs and investors. In this lecture, we will explore the range of unanswered needs, market size and potential, and discuss about the great impact that AT has on the quality of life of people with disabilities and the elderly. We will talk about challenges and barriers that entrepreneurs are facing when developing AT products and services, and present the A3I Accelerator as an alternative in the Israeli ecosystem. We will wrap up with two examples of successful graduates with the potential to impact the lives of many worldwide. The growing population of elderly people with age related health conditions living independently in their homes create a challenge to the healthcare systems and the society. Early diagnosis and timely personalized intervention is crucial for treatment, prevention of deterioration and hospitalization. However shortage in healthcare professionals, need to deploy solutions for large populations and support holistic care models addressing the clinical, cognitive, mental functional and social domains requires development and implementation of new programs that includes self-treatment and family involvement. New wearable and mobile technologies, unobtrusive monitoring, robots ,apps and services for older people are being developed to enables the all parties (e.g. healthcare, welfare, community) to receive relevant reliable information and respond in a timely and personalized way that will address the specific needs of the patient\elderly person. These technologies also enable organizations to provide affordable, scalable healthcare. Through using appropriate technologies, healthcare systems can deliver effective healthcare within emerging resource constraints, better manage their resources and care and involve multidisciplinary healthcare professionals, family and other care providers improving health and well-being of the older person. The future emerging technologies strategies and organizational changes for treatment of the elderly population will be presented and discussed. "Kids 4 Kids" is a unique joint program of IBM Israel and the Holon Institute of Technology (HIT) on its 14th year of implementation. The goal of the program is to create dialogue between 20 Jewish and Arab pupils by creating a cooperative product for the community. The program aims to create relationships among three pairs of groups: 1) Industry and Academia; 2) Pupils and people with intellectual disabilities; and 3) Jewish and Arab Children. This year's program brought cooperation with the Akim Association and Rand Institute in order to develop a mobile application that would enable better community integration for people with intellectual disabilities. During the program, the pupils learn the IBM Design Thinking methodology and use it to better understand their target audience and their needs. The pupils use the methodology to design a dedicated application which would help the disabled address real-world problems such as forming inter-personal relationships, daily schedule management and daily monetary interactions. The program is led by IBM consultants and a lecturer and students from HIT who will continue to develop the designed application for the benefit of the community. Jibo is an extremely complex device that includes both embedded and cloud speech recognition, natural language understanding, text-to-speech, and speaker identification, but not only. Jibo has a moving body that helps him communicate more effectively, express emotions, and create social bonds with his users. Jibo has cameras and microphones to make sense of the world around him, including detecting where sounds come from and recognizing and tracking faces and people. He has a display to show images, words, pictures, and videos, an eye that can morph into shapes at will, and a touch interface that provides a complementary input modality. Jibo encompasses the ultimate human-machine interface, with the potential of becoming a new interaction paradigm. And, even more important, Jibo is a platform with a development system that can be creatively used by third parties to build and distribute different applications. In this talk I will take the audience through my journey in conversational technology, from the first years of bulky and slow computers, for which the recognition of the ten digit in real time was a task of gargantuan proportion, to Jibo, a social robot that has the promise of being a first significant step towards a more pleasant, accessible, and human interaction with machines. I will conclude with the lessons learned, and how they shaped my vision for the evolution of conversational technology now and for the next few years. Information Privacy, Who is Accountable? When we are talking about people with special needs the paradox of keeping one's privacy is a serious matter, because although using the internet can be helpful in many ways, they might have medical information privacy issues, and they often do not have the tools to make sure that their privacy is kept. Actually, why is that their responsibility? Why can't the Internet be safe for everyone? In addition we will talk about IOT and privacy, as many times IOT devices are poorly designed and manufactured with respect to security and privacy. So why are we the only ones considered accountable for our privacy? So, what is the solution? We will discuss several options as we keep in mind that we owe it to our users to make the Information Age a safe place for everyone -- not just those with "security awareness". The healthcare world is moving away from the one-pill-fits-all paradigm to solutions that support providing the right drug at the right time to the right person. Recent technologies that learn from a large diverse data collected from patients were shown to support physicians in their combat to provide better care. These solutions can shortcut the painful trial-and-error process where physicians try to fit drugs and health interventions to their patients. IBM is involved in providing such solutions in various disease areas, from recommending what might be the optimal cocktail for an AIDS patient to tailoring the frequency of the the tests elderly people with diabetes need to perform to avoid complications such as glaucoma. The talk describes Ola Mundo's journey in developing technologies that try to disrupt the social barriers associated with the Autism Spectrum Disorder, one of the fastest growing developmental disorders in the past decade. Ola Mundo recently launched a Personal Assistant app that applies learning algorithms, virtual avatars and AI to help children on the spectrum to communicate with the world and make progress. Will review the challenges in developing assistive digital technologies for the visually impaired. This population is also technologically challenged, which renders this a more difficult endeavor. 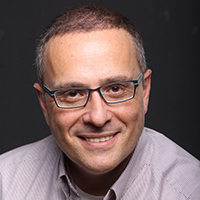 In his talk Allon Gladstone, co-founder and COO of hereO, will walk us through what it's like being a consumer hardware startup in Israel, from challenges to successes and failures, he will share his learnings and insights. Allon will discuss real world experiences on the road taken from coming up with the idea for a children's GPS tracking watch, to the challenges his startup faced manufacturing and bringing the device to market. Building a social robot for everyone is an extremely hard task, imagine trying to build one for a population that isn’t keen on adopting new technologies. In this talk we’ll explore the steps we are taking in order to ensure that the active aging companion we built will empower our users and help them be more engaged and connected. The session will include descriptions, discussions and demonstrations around the topic of – "building a system of conversational interactions man-machine which will be able to monitor emotional & physical needs of humans, understanding them and can support solutions." 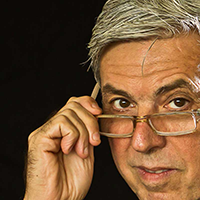 Roberto Pieraccini, a scientist, technologist, and the author of “The Voice in the Machine,” (MIT Press, 2012) has been at the forefront of speech, language, and machine learning innovation for more than 30 years. He is widely known as a pioneer in the fields of statistical natural language understanding and machine learning for automatic dialog systems, and their practical application to industrial solutions. As a researcher he worked at CSELT (Italy), Bell laboratories, AT&T Labs, and IBM T.J. Watson. 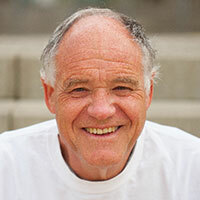 He led the dialog technology team at SpeechWorks Int.l, he was the CTO of SpeechCycle, and the CEO of the International Computer Science Institute (ICSI) in Berkeley. He now leads the Advanced Conversational Technologies team at Jibo. 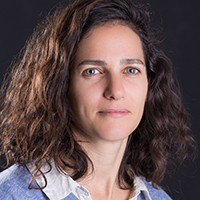 Dr. Nava Shaked is a faculty member of the Faculty of Engineering at HIT - Holon Institute of Technology - and an Adjunct professor at the PhD program at CUNY GC, Linguistics Department. 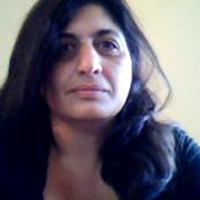 She holds a Ph.D. from CUNY GC in Computational Linguistics since 1994. 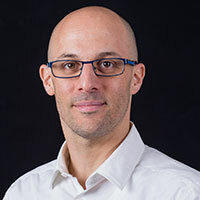 Shaked is an expert in Natural Language processing, artificial Intelligence and in Human-Machine interaction, with 20 years' experience both in speech technology research as well as leading major projects in Israel, Europe and the US. 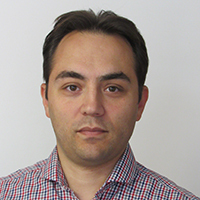 Shaked was acting as a freelance consultant for major enterprises specialized in Voice Technologies, leading customer strategy, designing system architecture, providing some Professional Service and heading projects from the client's end.  Shaked is a member of AVIOS (www.AVIOS.org) board and has founded the local Israeli chapter which she chairs. 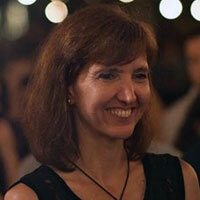 Her new book (co-authored by Ute Winter) "Design of Multimodal Mobile Interfaces" was published this year. 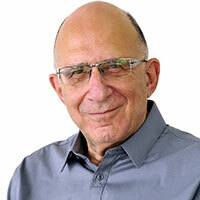 Dr. Shaked has set up M3IC - Multimedia, Multimodality, human-Machine Interaction Center at HIT. M3IC is a multidisciplinary activity center, which leverages the cooperation between HIT's different faculties and departments in a unique way to promote synergism between Engineering, Design and Sciences' researches and students to create a paradigm which enables joint activities. 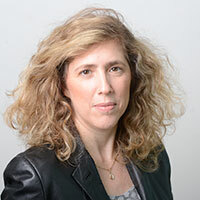 Shira is Head of A3I Accelerator and Entrepreneurship programs at Beit Issie Shapiro. 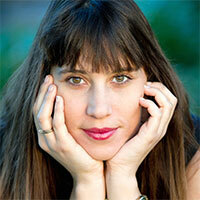 Shira is an economist and is actively engaged with social businesses. Previously worked as a senior analyst in research and strategy, leading projects for government ministries. Beforehand, she provided business advice to SMEs and coordinated the CFOs Forum at the Manufacturers Association of Israel. 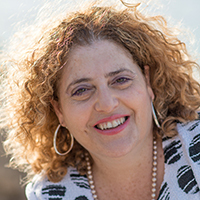 Shira serves as mentor and trainer in the Social Economics program at Tel Aviv University. 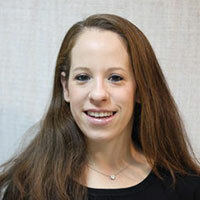 Shira has a BA program in psychology, economics and political science from the Hebrew University and a master's degree in Social Policy and Planning from the London School of Economics. Dr Hadas Lewy is currently the Director of innovation and business development in Clalit health services and co-founder of CARE- Excellence Center for Applied Research and development of technologies for the Elderly in HIT. 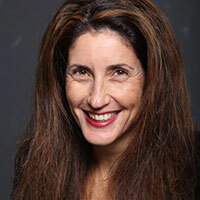 She earned her PhD in the department of Human Genetics and Molecular Medicine at Sackler School of Medicine, Tel-Aviv University, Israel and then completed a Postdoc Fellowship in the department of Clinical Biochemistry and Molecular Medicine in the Medical School Pitie-Salpetriere. Paris, France. 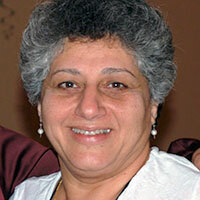 Her academic and industrial experience includes the development of medical devices and analytics. In 2008 she joined Maccabi healthcare services where she established the International R&D Center, founded and served as the CEO of NEVET Ltd –the R&D Company of Maccabi Group Holdings. She has long experience in international collaborations in R&D of technologies for healthcare including EU funded projects and the development of technologies and products for healthcare services that are compatible with the workflow and needs of healthcare systems. 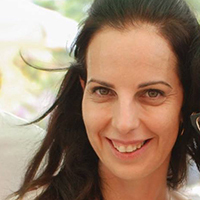 Rotem is a lecturer and staff member at the Faculty of Instructional Technologies at the Holon Institute of Technology (HIT). She holds a Masters in Social Media and Web Technologies from the Linneaus University in Sweden and specializes in designing and developing educational environments. Rotem leads several social projects at HIT which connect students to the community. 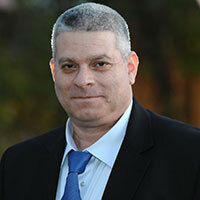 Mr. Shamir retired in 2015 from the Israeli Security Agency (ISA) after 24 years of service. In his last position, He served as the technology division head, in - rank equivalent to Major General. During his tenure, Mr. Shamir introduced innovative thought and paradigms that led the division to extraordinary performance. Prior his last position Mr. Shamir served as the Head of Cyber Development Department. Building the first cyber department in ISA and managing it. Since he retired Mr. Shamir has been involved in entrepreneurial activities, in the Cyber-Security and Bio-Technology domains. He also advises on strategic solutions for Cyber security and critical information infrastructure defense. Currently Mr. Shamir is a co-founder and CEO of Phonetica, a startup in the speech analytic domain. 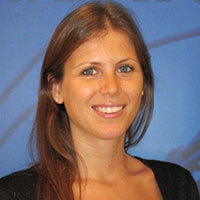 In summer 2005 she joined IBM Research in Haifa. 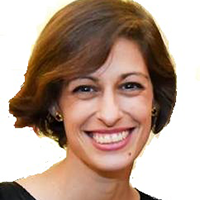 She has contributed to and lead a number of multidisciplinary projects where physicians, data scientists and experts from pharmaceutical companies joined forces to analyze post launch patients data. 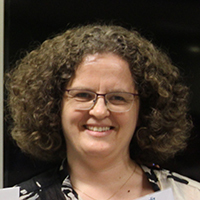 She published close to forty peer-reviewed papers and co-chaired a dozen workshops in the area of machine learning and health informatics. 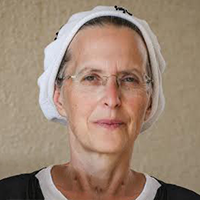 She gave talks at numerous forums and gave a course at TLV University about probabilistic graphical models and its value in the world of medicine. 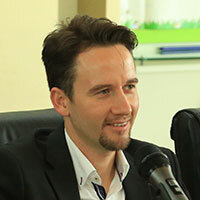 Alex Pavtoulov is the CEO and acting CTO of Ola Mundo, a startup company that helps children with Autism to communicate. 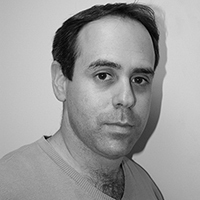 Alex served for 8 years in an elite technology unit at the Israeli intelligence forces and holds a BA in physics. Co-founder and CEO of project-RAY – a company providing the first smartphone specially developed for use by blind and visually impaired people. 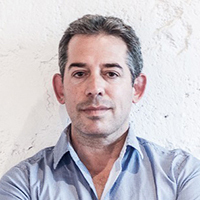 An industry veteran with over 20 years’ experience in high-tech businesses, Zilberman’s expertise includes launching high-tech start-up business through to market maturity, strategic and tactical creativity, business development and marketing of telecom technologies and strategic partner negotiations. 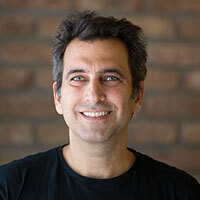 Boaz is a co-founder of fring and worked in the company for six years as Chief Architect responsible for product strategy and partners relations. Prior roles included Director of Marketing at Radvision, a global market leader of video telephony solutions and converged communications; founder and CEO of ExpertCall, a system providing complete, automated customer support for any website; General manager at EasyRun, developing computer-telephony systems, and Intel Semiconductors. Boaz holds an MSc in Computer Science from the City University of New York. 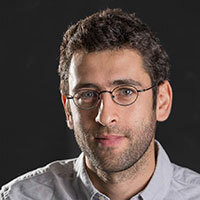 Allon is co-founder and COO of hereO. 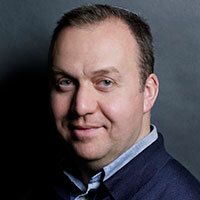 He led the location based services (LBS) efforts at Alcatel-Lucent. Prior, he was at Bell Labs (Alcatel- Lucent R&D) working closely with telecom operators worldwide on future development of wireless, optical and other advanced communications technologies. 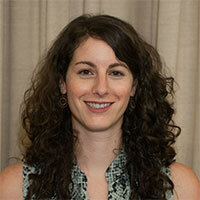 Dafna leads Marketing and Business Development efforts at Intuition Robotics. Prior, she founded a Y-Combinator backed startup, Parallel Universe, aimed at helping developer write scalable code with ease. 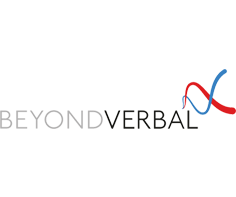 Chief Science Officer (CSO) of Beyond Verbal Communication Ltd., Israel (world leader of Emotions Analytics field and vocal biomarkers field). Dr. Levanon has a varied and illustrious career, where multidisciplinary R&D integrated to DSS (Decision Support Systems) in management, marketing, psychological, wellness and medical systems. Based on that approach and on his rich experience he creates the infrastructure of the Emotion Analytics field, where physical models of brain and voice, decision making (emotional and rational), and influence theories have been used by him in the development process from 1995 until now. Academic education: D.Sc. - outstanding work in Multi-criteria Decision Making, Operations Research-Technion,1981; M.Sc. in Physics-Hebrew University,1968 ; B.Sc. in Physics, Mathematics, Statistics, Hebrew University, 1966. 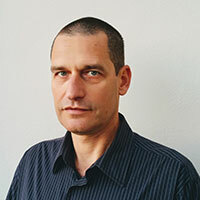 Publications include 2 books (one in marketing strategy based on his work in the field of market research and consulting ,and the second on multi-criteria decision making ), 24 patents and pending patents (–mostly in fields of emotion analytics ,emotional marketing, vocal biomarkers), and around 50 professional articles. 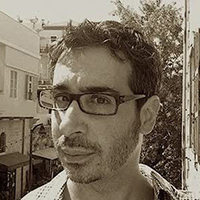 DR. Levanon served also as a senior fellow at the SEI Center for advanced studies in Management in Wharton, and also served in Israeli universities (Hebrew university, TAU, BAR-Ilan) and now in the Netanya Academic College. We believe in full collaboration and are pleased to offer several opportunities designed to maximize your company's exposure and networking opportunities before, during and after the symposium.